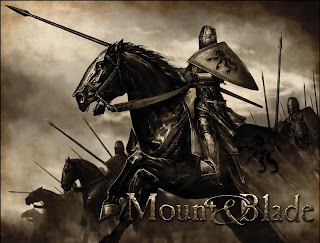 If you are a PC gamer like me, then you have probably played what is known as an "RTS," or real time strategy game. In these, the player typically controls an army against a computer or human opponent. These games are amazing simply because they give the player a real sense of large scale warfare that is missing from most other genres, be it FPS, RPG, or others. The only problem with games like these is that as a player, you never really have a personal connection with your army. You usually command several units at a time, and sometimes this gets very sloppy and difficult to manage. In addition, much of the intensity of the battles you are waging is lost due to the fact that you are managing everything from a 3rd person God-like perspective. Unsurprisingly, this usually creates a kind of detachment between the player and the action occurring on screen, as you are likely more involved in the strategy of your army than in the actual fighting taking place on the ground. What if I told you that you could, instead of managing a massive battle from a 3rd person point of view, actually play as one of the individual soldiers on the map and truly get a taste of what it is like to be a simple soldier in one of these massive RTS battles? And what if I added that every other unit on the field is also controlled by another human being? If that intrigued you in any way, then you really must give the game Mount and Blade Warband - Napoleonic Wars a try. A typical scene from Napoleonic Wars. Each soldier is controlled by an individual human player. Napoleonic Wars is the game I have been wanting to play ever since I was a kid. You play as a simple infantryman, officer, drummer, or horseman fighting for your country in online battles featuring up to two hundred players. My personal favorite online game mode is "siege," which pits two teams of one hundred players against each other with one defending a fort while the other attempts to take it by force. Believe me when I say nothing is quite as exhilarating in the gaming world as lining up with your fellow French infantrymen and holding a key position in your fort against never-ending waves of British soldiers. Attacking in this game is an awesome experience as well. You and ninety nine other players charging up a hill, facing an endless barrage of enemy rifle fire, bullets whizzing by (there are actual sound effects for this), your friend being struck down next to you, cannon balls slamming into the ground around you. Magnificent. Though Call of Duty players will be angered at the long reload times (this game is very historically accurate with its rifles...), in my opinion it only adds to the experience. You need to save your bullet for the right moment, and take time lining up the shot. Even then though, you might miss and be out of luck. 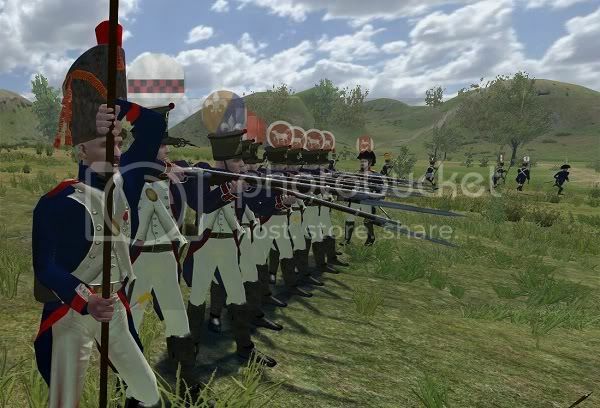 Luckily though, Napoleonic Wars features a melee system that is quite unlike any I have utilized before. When you are caught in the heat of battle without time to reload, you can switch to bayonet mode and charge at the enemy. If you are an Officer, you can switch to your sword and carve your opponent to pieces. The melee system is complex and allows you to swing your sword in the direction you want and determine how hard you wish to do so. All of these minute details lead to a complex system where skill really does determine the victor in close quarter combat. All in all, I have to say that this is one of the most gratifying games that I have had the pleasure to play in recent months. Playing Napoleonic Wars for the first time was quite the experience, so much so that I have the itch to drop what I am doing right now and play it some more. And you know what, that doesn't sound like such a bad idea! Simply put, this is a great game. If you haven't already, take the plunge and buy it on Steam while it is dirt cheap. My bayonet awaits you on the battlefield!